Since motion pictures were invented, audiences have loved how they tell stories. Movies enabled people to travel the world vicariously, and experience tragedy, love and nearly every other emotion. Movies spread quickly, making them one of the most accessible and beloved forms of entertainment in the world. Photography became a part of public life in the mid-19th century, especially during the Civil War, when photographers documented American battlefields for the first time. Experimenting with ways to exhibit photographs, several inventors came up with a simple toy that made it possible for a series of pictures to be viewed in rapid succession, creating the illusion of motion. It was called a zoetrope. In October 19, 1878, Scientific American published a series of pictures depicting a horse in full gallop, along with instructions to view them through the zoetrope. The photos were taken by an English photographer, Eadweard Muybridge, to settle a bet between California businessman Leland Stanford and his colleagues. Stanford contended that at some point in a horse's stride, all four hooves were off the ground. He enlisted Muybridge to take photographs of the positions of a horse's hooves in rapid succession. 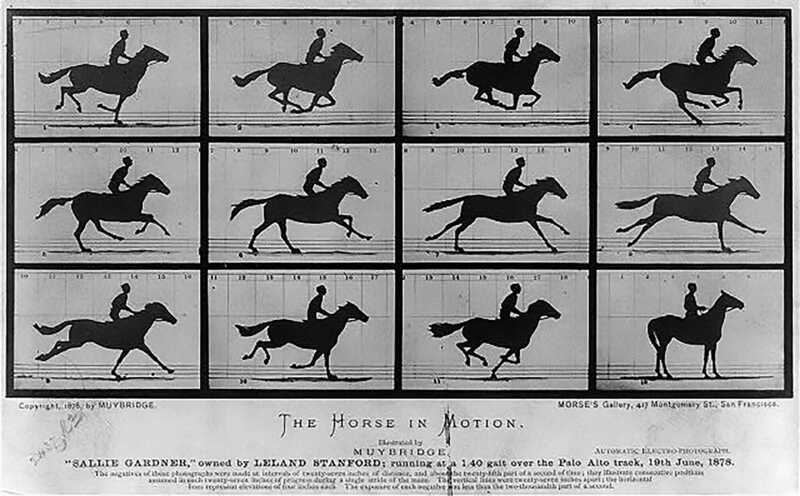 Muybridge's 12 pictures showed that Stanford had won the bet. Muybridge's findings fascinated many, and with Stanford's support he created a sequential photo projector -- the zoogyroscope -- in 1879. With this device, Muybridge projected his photos to an enthralled San Francisco audience the following year. Meanwhile, in Paris, noted physiologist Etienne-Jules Marey was doing similar work. His studies of animals in motion drove him to experiment with photography, and he fashioned a camera that could take 12 pictures per second of a moving object. The technique, called chronophotography, along with Muybridge's work, were the founding concepts for motion picture cameras and projectors. In 1888 in New York City, the great inventor Thomas Edison and his British assistant William Dickson worried that others were gaining ground in camera development. 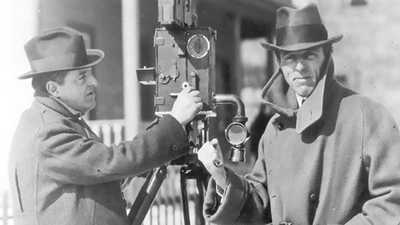 The pair set out to create a device that could record moving pictures. In 1890 Dickson unveiled the Kinetograph, a primitive motion picture camera. 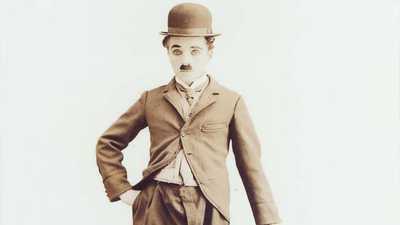 In 1892 he announced the invention of the Kinestoscope, a machine that could project the moving images onto a screen. In 1894, Edison initiated public film screenings in recently-opened "Kinetograph Parlors." Again, the French were working towards the same end. In 1895, Auguste and Louis Lumière introduced the Cinématographe, a projector that could show 16 frames per second. In their public cinema, audiences were spellbound by the films of simple movement and action: images of a baby eating, a hose squirting water, and the workers pouring out of the Lumière factory. While the first films were of commonplace occurrences — trains approaching, people dancing, and animals playing — filmmakers soon started to incorporate story lines and music into their works. 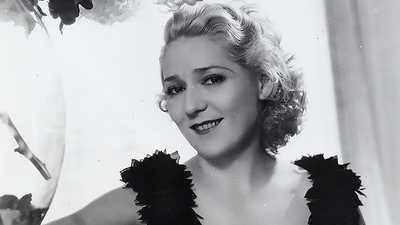 Between the years of 1890 and 1927, thousands of silent films were produced, with an ever increasing sophistication of story line and technical craftsmanship.